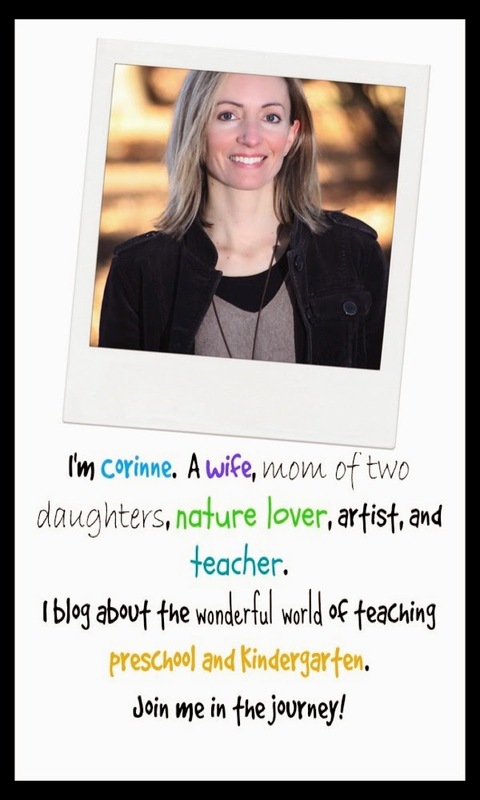 Teach Easy Resources: Hatching Chicks in the Classroom! How can I tell spring is on the horizon? 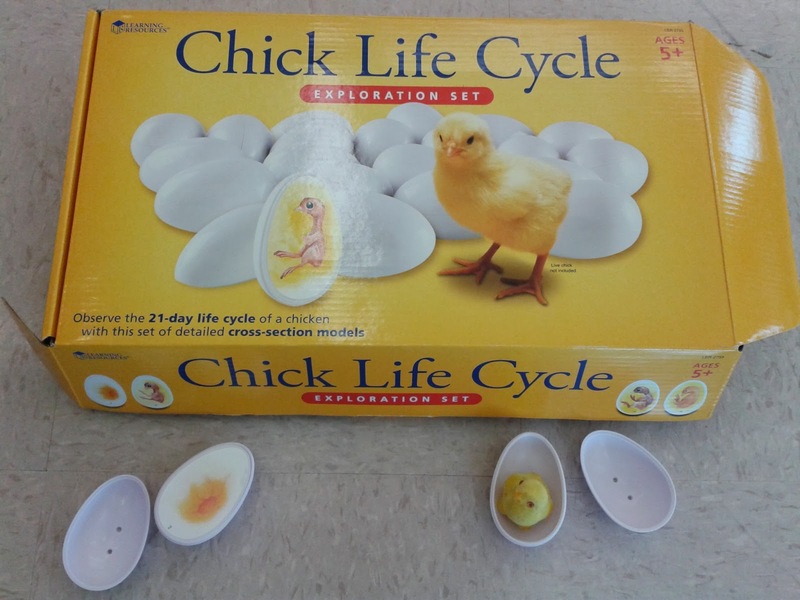 But also because it is time for us to hatch chicks again in our classroom! Of all the things we do at preschool, I think this event is probably one of the most memorable for the kids. To see a little fluffy creature emerge from an egg is pretty awesome! Here's where the magic begins - in our incubator! We are now on day 3 - just 18 days to go! 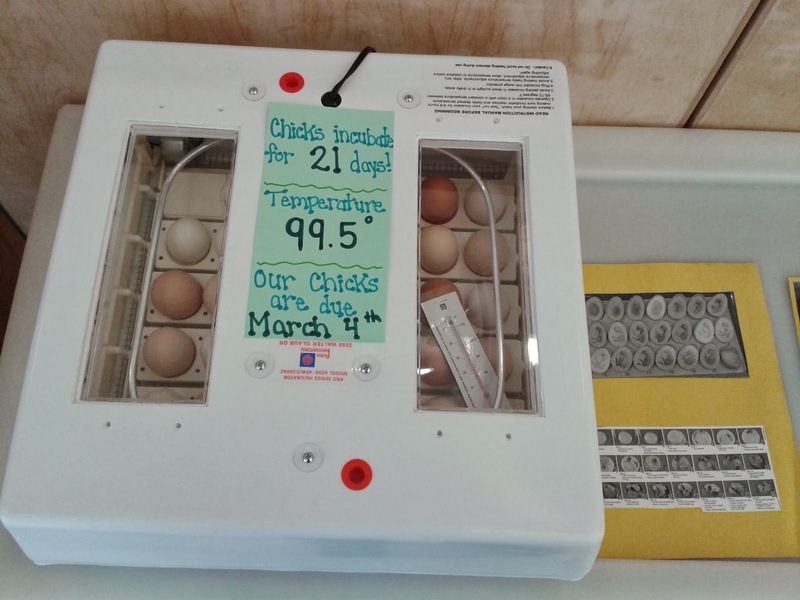 We have a cool chart posted beside the incubator so that the kids can get a sense of how the chicks are developing inside the eggs. 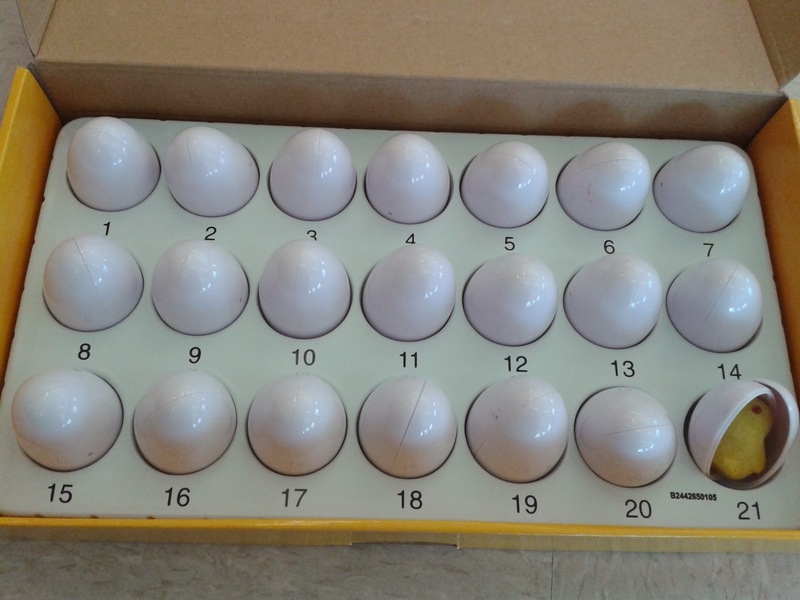 We also have a set of plastic eggs that show the stages. 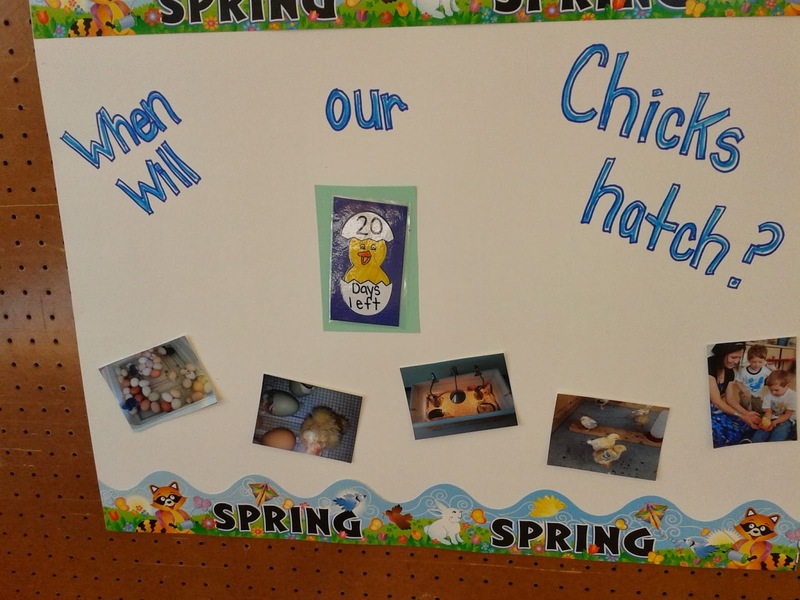 We set out the egg that corresponds with each day. Below you can see the full set in the box. 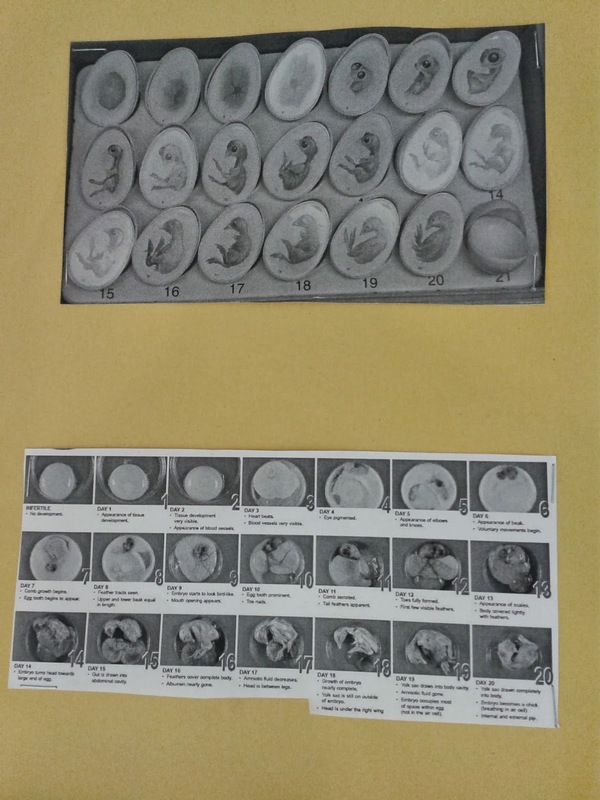 We post the number of days left till hatching on our little bulletin board beside the incubator. 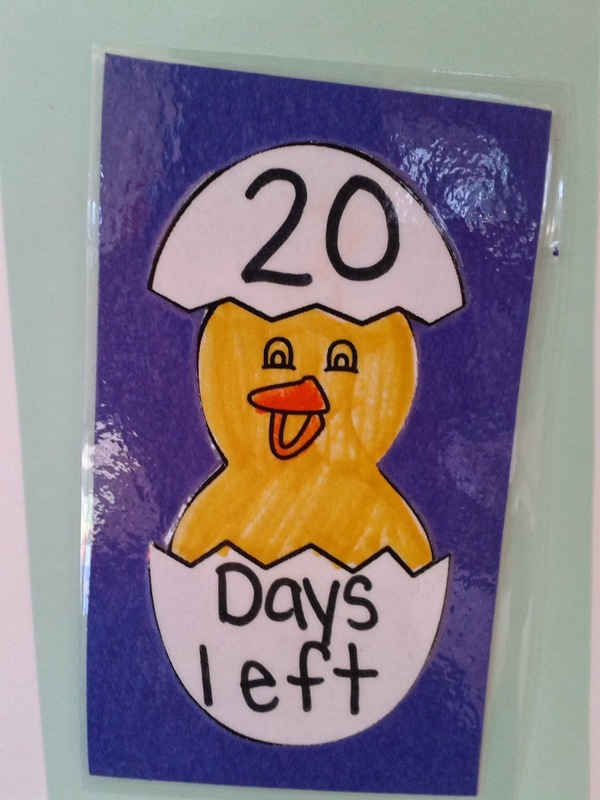 Our special helper changes the countdown image every day.